Noodle man. Ongpin St., Chinatown, Manila. Had a blast shooting with another Instagram user who took the time to meet up and shoot street with me earlier. My phone says I walked a total of 14,059 steps for 11.3km and took six flights of stairs. Seems pretty accurate from how my feet are sore now. Shoutout to @_bigdata! Thank you travelling all the way to Manila and making time to shoot street. To more awesome photos and good beer, cheers mate! 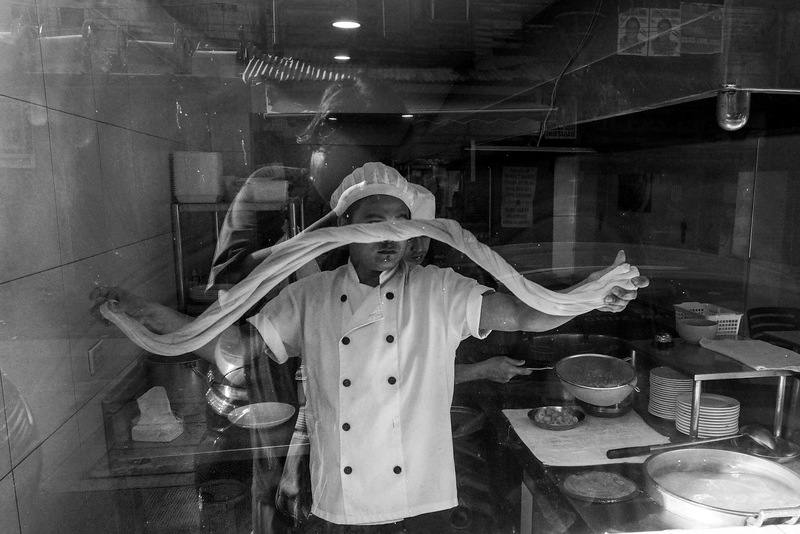 And look how big I am in my reflection compared to the guy working the noodles. That’s usually my struggle when taking street photos, I’m too big. Filed under Street Photography. Tagged as Binondo, Chinatown, Manila, Sony, Street Photography, Streets of Manila, Voigtlander.